Learn about 14 different animals who do strange things to get a mate, protect themselves, or scratch an itch. The facts are interesting. and the images are eye-catching. 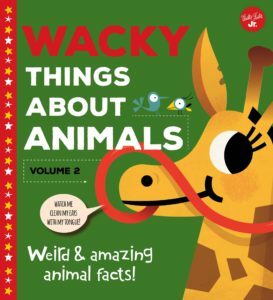 This book kept my interest from page one and I was impressed how animals solved the problems they experienced.